If you’ve taken advantage of our free performance benchmark program, then you know how much time high-performance computing (HPC) can save you when solving your actual models. Customers who submitted a model for this free benchmark have seen an average speed up of more than 6X compared to the hardware they’re currently using. It’s easy to imagine what you could do with all of that extra time: more product design iterations, higher-fidelity simulation runs, simulation of larger data sets and optimisation studies that would all lead to more innovative products. But the reality is, you need an HPC environment to achieve those amazing productivity boosts, and HPC is hard. Proper sizing of an HPC cluster involves more than choosing the right processor, core count and memory. Beyond hardware, you also have to consider storage, remote visualisation, job scheduling and workload management software. It’s a lot for a busy engineering team to do alone, and could even tax small or overworked information technology (IT) departments. The HPC cluster appliance includes hardware from ANSYS partners like HPE, which is preconfigured with ANSYS software as well as job management software. It can all be remotely managed, so no extra stress is placed on your already overworked IT resources. We’ve thought a lot about the challenges that might prevent you from taking advantage of the benefits of HPC and have come up with an out-of-the box solution. 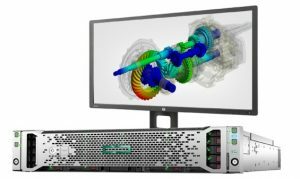 We have partnered with hardware and service providers including, Hewlett Packard Enterprise (HPE), to release plug-and-simulate, externally managed HPC clusters that are preconfigured with ANSYS simulation and job management software. This HPC cluster appliance shifts simulation jobs off local workstations to a central cluster resource, enabling you to truly multitask and use your compute resources 24/7. The appliance reduces the time and cost of acquisition, provides an ANSYS-optimised system for higher efficiency, and makes it easy to adopt and maintain HPC even if you don’t have IT support and resources. The HPC cluster can be easily (and remotely) accessed for management, performance and maintenance of the system. These HPC cluster appliances are a great way for small- and medium-sized businesses, or engineering departments within a larger enterprise, to take advantage of the benefits of HPC-driven simulation. One company that is realising those benefits is BD, a global medical technology company. Chris Basciano, staff engineer and technical lead for computational fluid dynamics (CFD) engineering analysis at BD, participated in a recent webinar to share his company’s experiences moving to an HPC cluster appliance with the help of ANSYS partners HPE and TotalCAE. Basciano and his team were interested in making use of HPC clusters, but BD’s IT department didn’t have experience with them and frankly had too much to do already without taking on new responsibilities. A cluster appliance that is preconfigured with ANSYS software comes ready to simulate right out of the box, without all the hardware complexity or software headaches traditionally associated with HPC cluster computing. 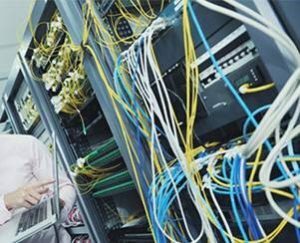 Many users tell similar tales of overworked IT departments that lack the bandwidth to focus on managing HPC for their engineering simulations. System integrators (SI), like TotalCAE, specialise in managed HPC services that allow companies to leverage web-based software scheduling and sharing solutions without the hardware-related headaches. 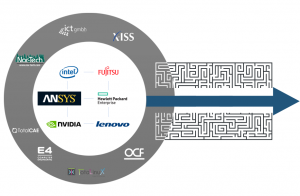 ANSYS has teamed up with HPC strategic partners to make specification and deployment of HPC easier for you. If you’d rather try HPC on demand before bringing a cluster in-house, our cloud-hosting partners offer on-demand access to secure, turnkey simulation platforms on the cloud. And, if you’ve already made the move to HPC, we continue to support you via webcasts focused on HPC in the cloud and on-premise HPC. Whether you choose an on-demand cloud-based solution, or an out-of-the box, preconfigured HPC appliance, we have teamed up with partners to clear the path to HPC. We know how much time, money and frustration that HPC-driven simulation can save. But, even more importantly, we’ve seen how much more competitive, innovative and agile our customers who have adopted HPC for simulation have become. We’d also like you to experience the benefits of HPC. Talk to one of our account managers for how ANSYS can benefit you, call now on 0161 474 6886. This blog was originally posted on ANSYS’ website here.